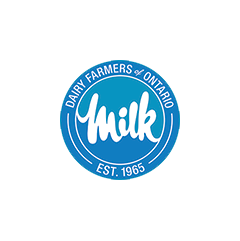 We are the marketing group for the largest sector of Ontario agriculture and are proudly owned and operated by Ontario's Dairy Farmers. Our web site is organized by audience groups, shown on the left side of this page, to make it easier to find the information you need. How do I support Canadian dairy farmers? Dairy Farmers of Ontario’s (DFO) spring advertising campaign launched today, Monday, April 22. Read more to watch DFO's new commercial. Dairy Farmers of Ontario’s (DFO) board has lifted, effective April 5, 2019, the moratorium on the Parent-to-Child Top-Up policy. Minor changes have been made to the New Entrant Quota Assistant Program policy. Dairy Farmers of Canada (DFC) welcomes today’s Budget 2019 announcement, which contains a funding envelope of $3.9 billion to compensate Canada’s dairy, poultry, and egg sectors.